United could easily have won by a far bigger margin against the Clarets. 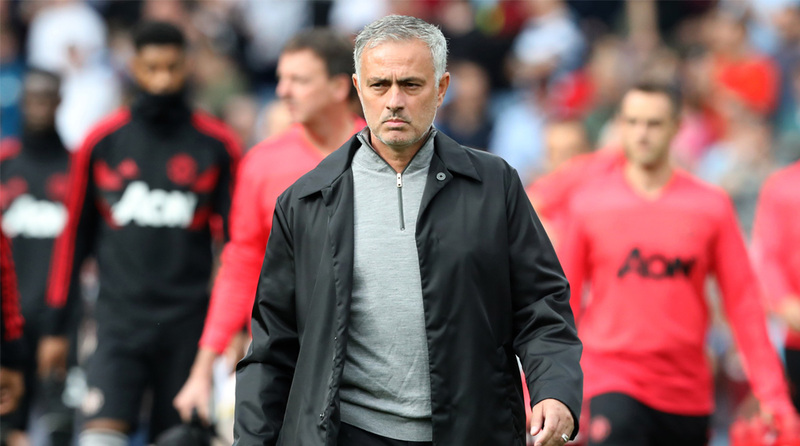 Manchester United comfortably saw off Burnley 2-0 at Turf Moor despite playing the final 20 minutes with 10 men, but Jose Mourinho insisted that his side could have wrapped up the game long before halftime itself. Romelu Lukaku netted a first-half brace, but the Belgian striker missed a bagful of chances before and after opening his account for the season, while Paul Pogba had a penalty saved by Joe Hart late in the second half. Marcus Rashford got sent off for headbutting Phil Bardsley not soon after Pogba’s penalty miss to make it an somewhat nervy ending for the Red Devils. Mourinho looked irritated with his team’s profligacy on the night, for they did dominate Sean Dyche’s side for the most part of 90 minutes. The Portuguese tactician was reportedly under pressure to save his job and it appears that his players united to ensure the Special One will remain in the Old Trafford hotseat after the international break concludes. Reeling after back-to-back losses to Brighton & Hove Albion and Tottenham Hotspur, United were on the verge of a crisis but after Lukaku’s goals got them an invaluable win at Turf Moor, disaster seems to have been averted. United are now 10th in the Premier League table and will next be seen in action when they take on high-flying Watford at Vicarage Road on September 15. The Hornets are in elite company at the moment, as they are level with Liverpool and Chelsea on points for all three teams have a 100 per cent record so far.